What is it with George Lucas’ incessant need to monkey with his original Star Wars flicks? First, he had to go and add a bunch of stupid, out-of-place CGI to the last major re-release, and now he’s planning on releasing them in 3D. 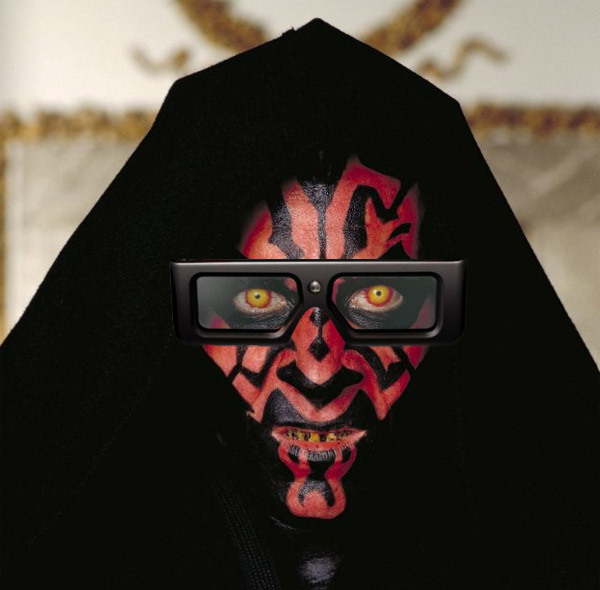 Didn’t George get the memo that 3D movies are just a fad? Guess not. According to The Hollywood Reporter, the saga will be converted one at a time, with releases starting in 2012 with Episode 1: The Phantom Menace. Woo-hoo. Jar-Jar in 3D. I already have a headache, and I’m not even wearing the glasses yet. At that pace, we should probably be watching Return of the Jedi right around the time 5D technology hits. And they may only get around to releasing additional episodes if the first releases are successful. So get ready to watch Jar-Jar 3 or 4 times if you ever want to see Anakin become Vader, or Luke fall in love with his sister. On the plus side, I wonder if 3D will give Jake Lloyd’s (the kid who played Anakin) acting more than one dimension.